ICLP has been offering a rigorous summer program to Flagship students since 2012. Over the years, Flagship students who received intensive language instruction at ICLP have found their speaking, listening, reading, and writing abilities to improve by at least one sub-level over the course of one summer. Founded in 1962 to train and develop the oral discursive ability of America's academic elite, ICLP has provided instruction to many alumni who serve in academia and government over the last half century. ICLP is situated on the Main Campus of the National Taiwan University in Taipei, offering Flagship students access to the NTU Main Library, Health Center, Sports Center, and other facilities in addition to ICLP facilities. 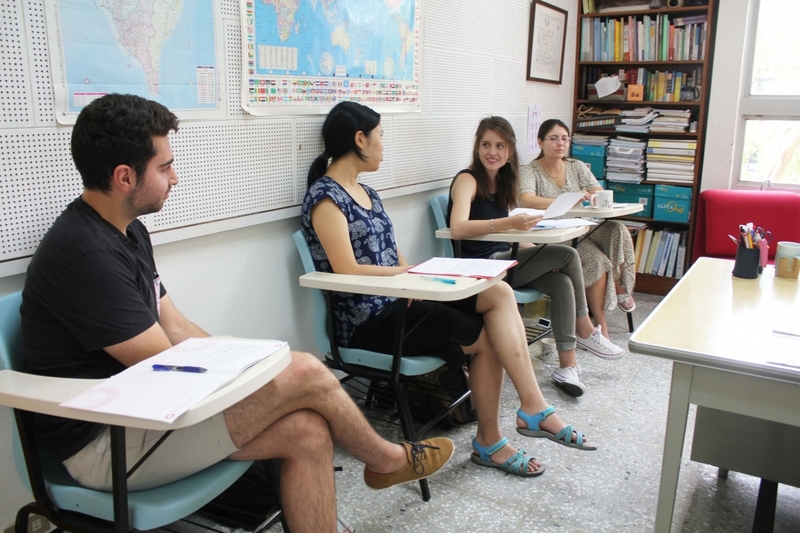 By coming to ICLP to study, you will not only greatly improve your Chinese language ability, but also enjoy Taiwan's abundant, diverse, and exquisite cultures. We have specially formulated this program for Flagship students to provide you with the best study environment with an ideal living arrangement. At least one sub-level of progress in speaking, listening, reading and writing; students must sign a 24-hour LANGUAGE PLEDGE to speak only Chinese for the duration of the program. To be determined by each student's home institution. ICLP will email and mail a copy of your transcript to your Flagship Center at the end of the program. If your Study Abroad or Registrar's Office requires an official copy as well, please request and pay for one prior to leaving Taiwan. living room, kitchen (oven, microwave, refrigerator), separate washroom and bathroom, bed, bedding (mattress, blanket and pillow), desk, wardrobe, washer and dryer, TV, internet access, air-conditioner, hot water (available 24 hours), cleaning service (weekly). Determined according to the student's language proficiency level. Please refer to the graph below for details. *Includes a security deposit of NT$9,000 (approx. US$290), refundable once the student has met all the requirements of the check-out inspection. A fee will be deducted by PayPal in the refund process. ► All tuition and off-campus dormitory fees will be charged in New Taiwan Dollar by credit card or Paypal; hence, the amount in US dollar is subject to change without notice. Flagship students with overall Chinese language ability at or above the Intermediate-Mid level. Includes a 200-word statement of purpose. Please provide a digital, passport-sized, high-resolution photo in JPEG, JPG or PNG format. The Photo will be used for making your student ID card once you are admitted. *For applications submitted between the priority deadline and regular deadline, the admission decisions will be announced on March 4, 2019 via the online application system. To apply for other programs, please visit Academic Year Program or Summer Program.